SPRING INTO ACTION TO SUPPORT THOSE AFFECTED BY BREAST CANCER! Give what you can to make a big impact! 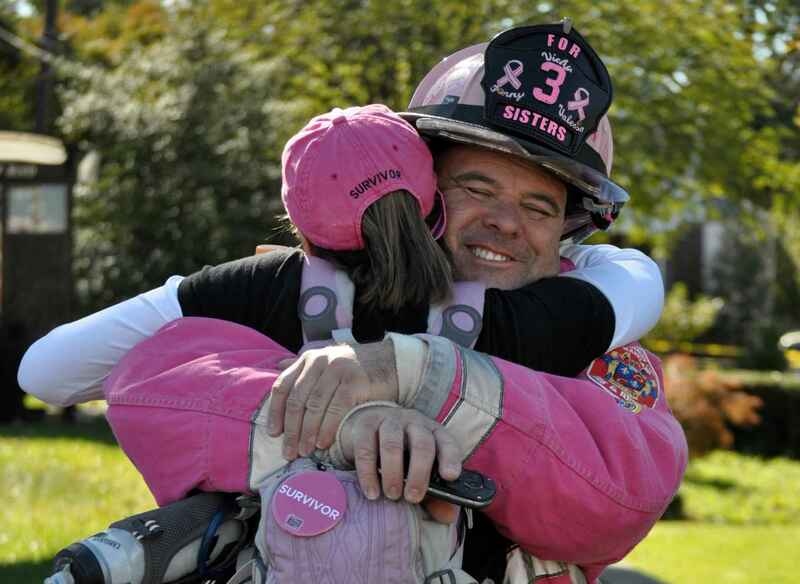 The Pink Fireman, aka Marshall Moneymaker, and founder of For 3 Sisters, Inc. decided to Spring Into Action after losing three sisters to breast cancer. Whether it was paying bills, giving rides to treatment or enjoying the activities they loved, he realized that he couldn't save his sisters from dying but he could improve their quality of life while they lived! He later vowed that no one would fight breast cancer alone. For 3 Sisters provides direct financial, emotional, and resource case management support to people affected by breast cancer. We provide access to screening and diagnostic mammograms and/or ultrasounds, and we educate men and women about breast cancer and the importance of early detection. As a retired firefighter and first-responder, Marshall understands the importance of protecting and saving lives. He has been a hero battling blazes AND a hero to people affected by breast cancer. He can't do it alone. The Pink Fireman needs your help! We are asking that you Spring Into Action to make an impact in both the breast cancer and healthy communities. Whether it's keeping someone with breast cancer from being evicted, putting groceries in their refrigerator, providing a mammogram to someone who couldn't otherwise afford it, and so much more, your donation affects real change in the lives of people affected by breast cancer. That makes you a hero. Their hero. Our hero. Note: You might notice some supporters are making a recurring donation of $27.75 ($28). A monthly donation of $27.75 adds up to a yearly donation of $333. The number 3 is meaningful to For 3 Sisters as it represents the number of sisters our Founder lost to breast cancer. Whether you're making a one-time donation of at least $5 or a recurring donation of your choosing, you are ensuring that no one fights breast cancer alone. From all four Hammond brothers. Thank you Donna Hennessy for raising awareness to a great cause! I want to help the ones who benefit from the organization's services.